We're spotlighting some of our BBC employees from around the country– including military veterans and spouses– in recognition of NAA's RPM Careers Month! 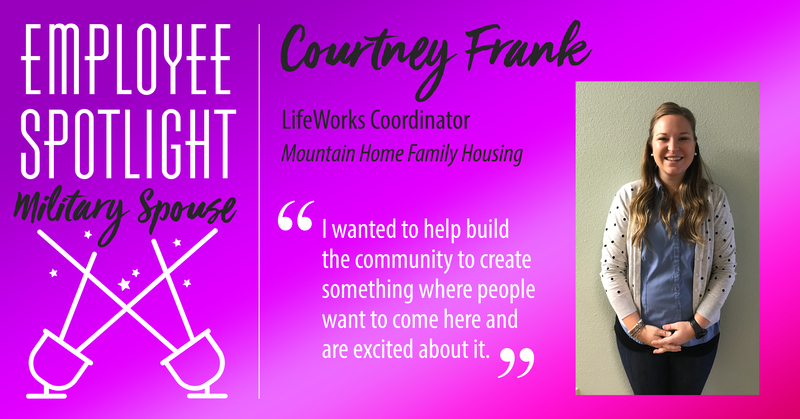 Continue reading to learn more about Courtney, LifeWorks coordinator. How many years have you been a military spouse? I’ve been a military spouse for 8 years. What made you decide to enter in the military-area for your career? My husband got stationed here at Mountain Home Air Force Base from Okinawa, Japan (Kadena Air Base). How long have you worked for BBC? I’ve worked her for about 9 months. What do you enjoy most about your job and working with military families? I wanted to help create a community within the base. Mountain Home Air Force Base is not by a large city so finding things to do or new people is difficult. I wanted to help build the community to create something where people want to come here and are excited about it.